I had lunch and cake at my grandparent’s place today. This inevitably means that I had to cook a very light dinner. I went for a fish recipe I cut out of a German magazine called “Welt der Frau” which means “Women’s World”. It is an awful magazine that I come by through my grandmother or aunt. The recipe is for oven baked salmon in a lime, chili and cognac sauce. Instead of salmon I used prawns. 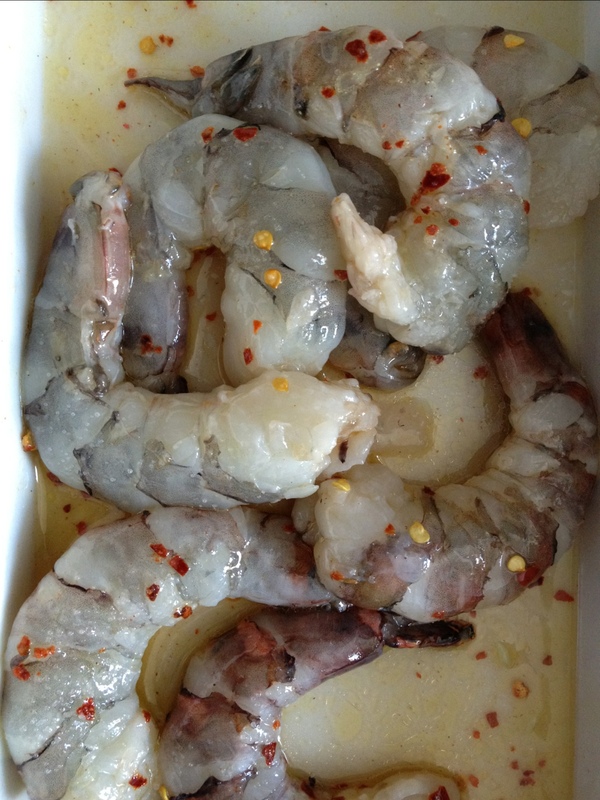 The recipe is very simple: marinate the prawns in lime juice, sesame oil, chili powder, pepper and salt and leave them in the fridge for 1-2 hours. 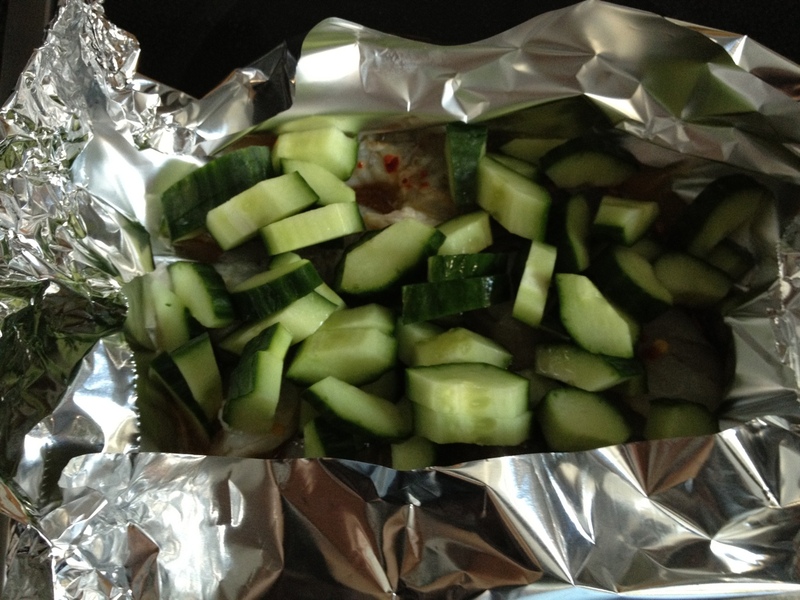 Put the prawns and marinade in tin foil making a little parcel. 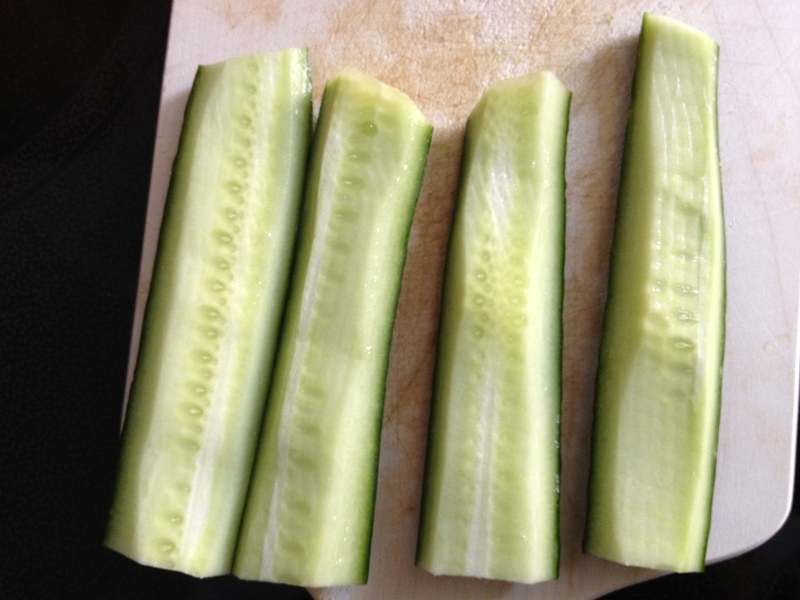 Then put some diced deseeded cucumber on top and add a little cognac to the parcel. Now I baked/steamed it in the oven for about 10 minutes at 150 degrees. 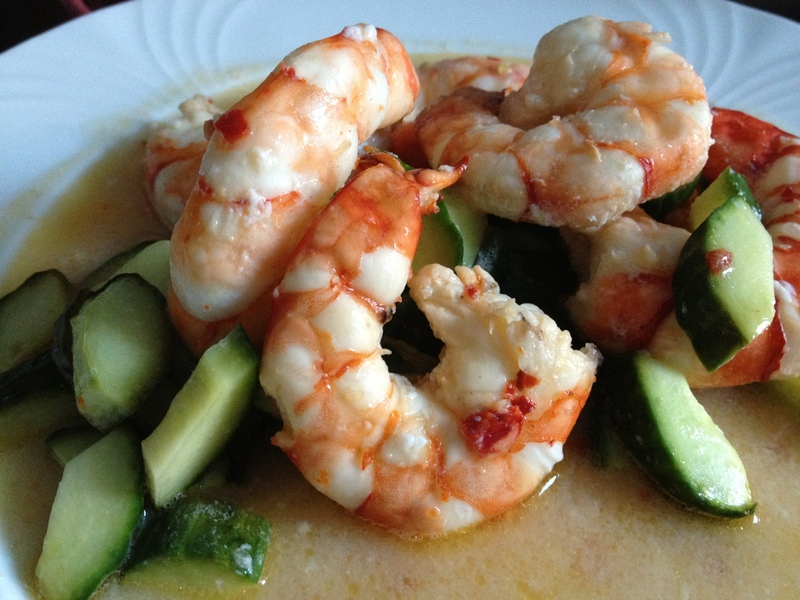 You have to check on the prawns repeatedly to prevent them from overcooking. Mine turned out very well indeed and the cucumber turned out to be the surprise hit. It was still crunchy but hot and added a really fresh summery taste.